While I'm not a "green" freak; I do recycle, I do have solar panels on my house and I do try to car-pool. But that doesn't mean I go all out, sometimes I leave the water running longer than I need to, sometimes I have lights on that should be turned off and even sometimes I put recyclable plastics in the trash. That being said, I applaud State Apparel for using recycled materials to produce their newest polo, the Green Collar Shirt. 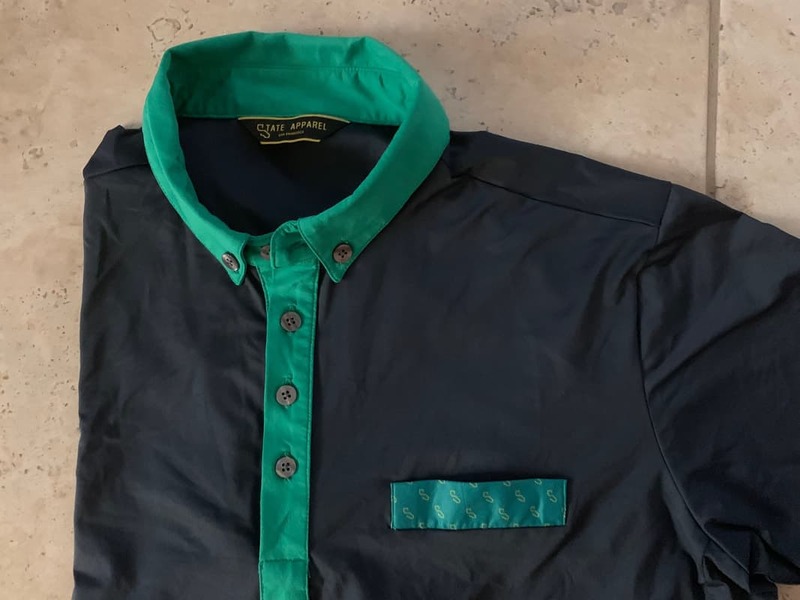 This is what State Apparel says about their Green Collar Shirts: "The Green Collar Shirt, made of recycled performance fabric, honors the Green Collar workers who sustainably and responsibly nurture the green spaces on which we play. A portion of the proceeds are donated to the Audubon International's Cooperative Sanctuary Program for Golf, which is an award winning education and certification program that helps golf courses protect our environment and preserve the natural heritage of the game of golf." Just as much as the shirt is recycled material, they also support conservation of our other resources by their donations. The State Apparel Green Collar Shirt appears to be like any other golf polo. Nobody is going to look at you and say that you are wearing recycled trash, but rather a classy looking shirt that has some nice details. The button down collar is a nice look that always keeps your collar in place, so no matter the wind or situation, it will look perfect. Another nice detail that isn't found much anymore in polos is a chest pocket. While I can't actually see using it for tees or a golf accessory, it gives the shirt a nice look and some contrast style. The State Apparel Green Collar Shirt runs a touch on the small side. I wear a M in many of the main stream brands, but more like the Euro brands I needed a L in the State Apparel polo. The size Large fits excellent with a good sleeve length and nice form. The length is just about perfect so that I could wear it untucked if I wanted to. The material has a nice stretch to it and feels very comfortable swinging. The State Apparel Green Collar Shirt is lightweight and perfect for AZ. I can wear this shirt year round in our warm weather. Even on really hot days it was very comfortable. 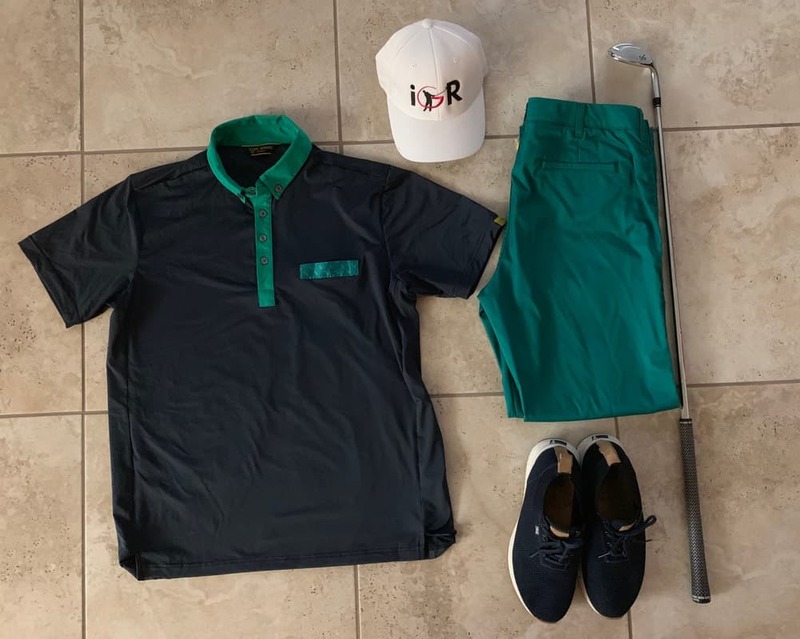 The contrast tones make this a nice looking shirt and the materials make this a comfortable shirt to wear on or off the course. The add bonus of "green" is a good thing. 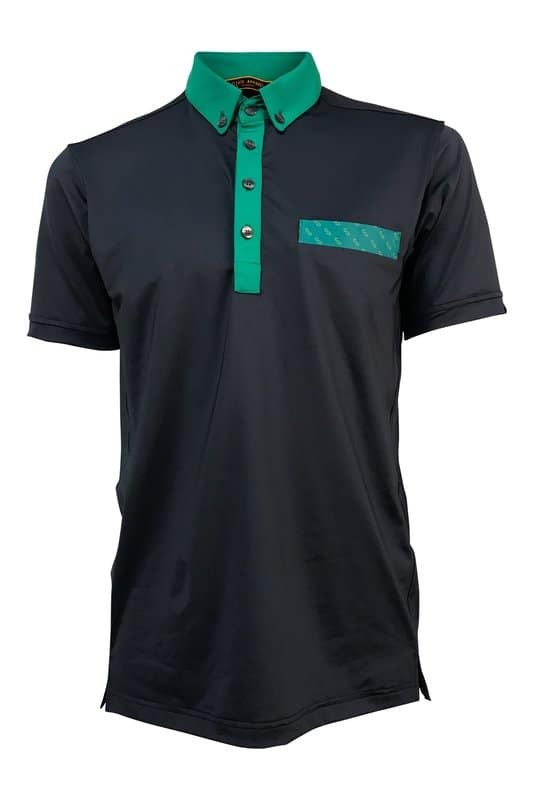 You don't need to be a "green" freak to appreciate the use of recycled material in this classy polo.